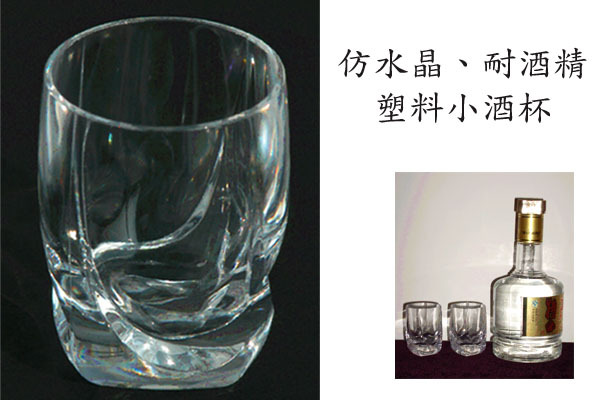 Plastic wine cup is specially desgined for Japanese Sake, Korean Soju, White Wine in crystal lookiing. It is made of food grade, alochol resistant acrylic copolymer(SMMA) plastic. This is good for Sake/Soju/Wine promotion gift, Japanese/Korean restaurants. Custom logo/trademark can be printed on the cooler if the order quantity is in 10,000pcs or more. Plastic wine cup is specially desgined for Japanese Sake, Korean Soju, White Wine in crystal lookiing. It is made of food grade, alochol resistant acrylic copolymer(SMMA) plastic. This is good for Sake/Soju/Wine promotion gift, Japanese/Korean restaurants.